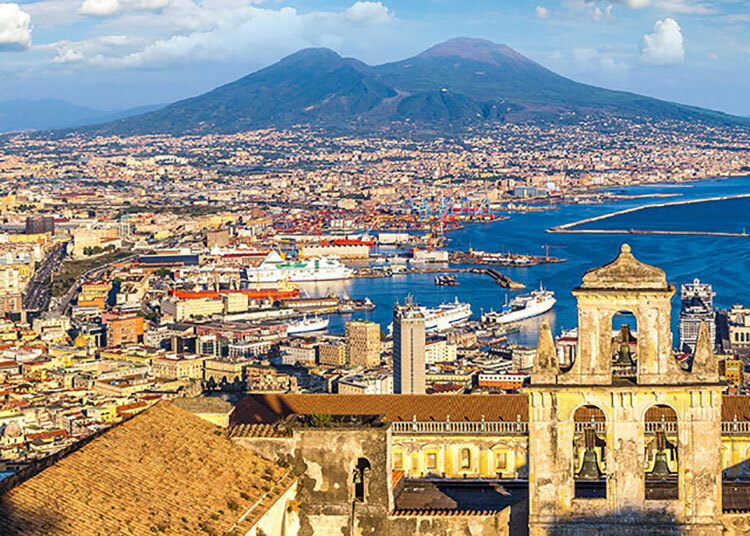 Naples is a small city located in the south of Italy, where it is known for when Mount Vesuvius, one of the most memorable volcanos almost destroyed Pompeii. Today there are a variety of interesting places you can visit in this seaside city. 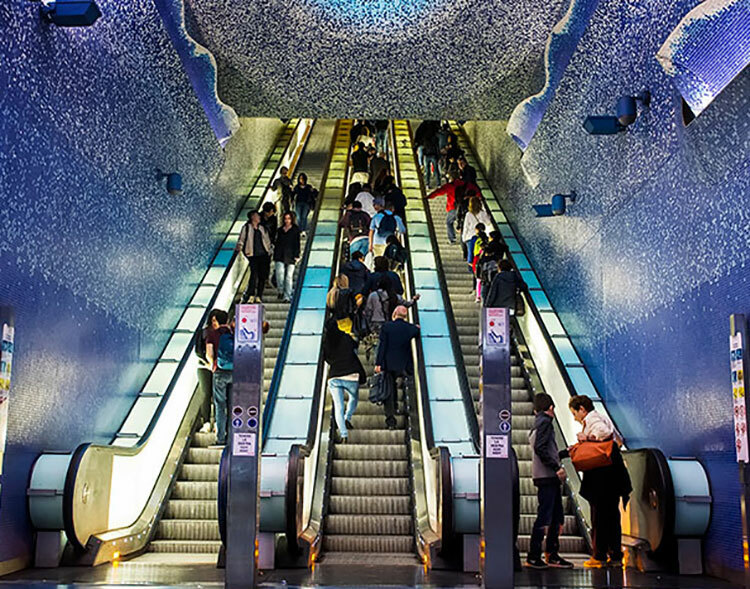 Naples is a UNESCO-acclaimed World Heritage Site and recently underwent a beautification process that rid its hallowed streets and seafront of masses of litter and revamped its antiquated subway system. Gaze at the frescoes, stroll the sandy shores, and rediscover the new and improved, yet classic Neapolitan paradise. Spring (April – May) acts as a transitional period and holds both rainy and gorgeous weather. Pack for both warm and cold temperatures that range from 6°C to 18°C. Summer (June – August) swealters on in Naples towards the end of the season, forcing those without AC units to go for a dip at the beach. May is a popular time to visit, so beat the heat before it sets in. Temperature lows skyrocket from 12°C to 30°C during this season. Many restaurants and shops close during August. Autumn (September – October ) in the city is usually dreary with good amounts of rain. Tourists feel cooler weather that hovers around 9°C to 24°C. Winter (November – February) isn’t a terrible season, but it does not play well with visitors seeking sunshine. Temperatures span from 4°C to 13°C. The main advantage of visiting in the winter is that you will pay off-season prices. Azienda Napoletana Mobilità (otherwise shortened down to ANM) is where customers can buy their bus fare tickets and see the latest updates for their choice of transport. Single tickets, TIC tickets valid for 90 minutes of unlimited travel, and day passes are available for purchase. Don’t be fooled by the seemingly convenient taxis in Naples. Drivers have unsavoury reputations of routinely tricking tourists into paying unnecessarily high prices for rides. Before getting into a taxi, make sure it has a meter that runs for the duration of the trip. Weigh your options with our helpful Getting Around Naples guide filled with tips and suggestions. Although residents no longer live here, the ruins of the infamous historic town of Ancient Pompeii still remain. Visit this quintessential Italian attraction and see the conserved casts of victims, the amphitheatre, villas, and Forum that suffered Vesuvius’s rain of volcanic ash and pumice. Make ample time for this original Grand Tour stop, and explore the surrounding area’s allures as well. For over two centuries, this museum has collected significant memoirs, starting from 1734 when Charles III of Bourbon was on the throne, and is home to Greek and Roman sculptures, as well as a collection of exotic mosaics. There are also Etruscan and Egyptian pieces from the Bourbon and Borgia collections that recall biblical stories through classical paintings, and artefacts from Pompeii just a short distance from the actual site. Slowly peruse this artful layout and take time to catch your breath under the relaxed atmosphere. This 1282 medieval castle imposes over central Naples and shows off its angles to people from outside and inside its walls. Though its original purpose was to facilitate the court and the living spaces of royals, the fortress saw other events like the resignation of Pope Celestine V in 1294. Peruse the halls and admire the embellished walls in the cool of the castle’s maze of rooms. Need a few more suggestions? Look at our Things to See in Naples guide for more museums and sights. Although you may be by the sea, consider the breath-taking spas available to visit in Naples. One to visit in particular in the Lite Life Wellness Spa (www.litelife.it), full of luxuries starting from various spa services & treatments, aesthetics treatments, a luxury gym, and a wellness programme. 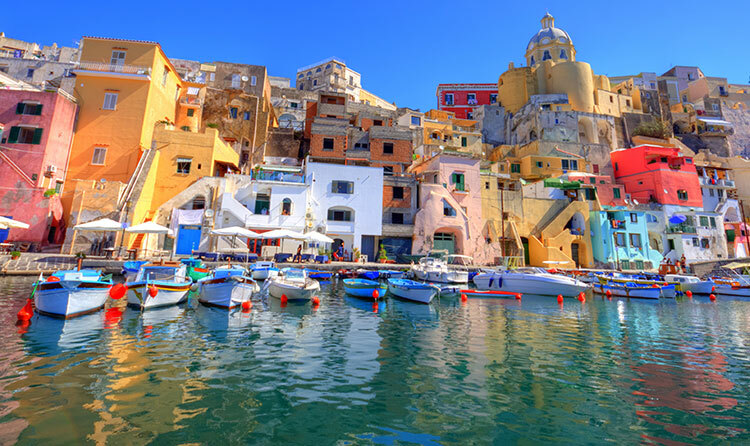 Book a boat tour from the range of companies that offer excursions to the islands of Capri, Ischia, and Procida, and drop anchor next to the famous Blue Grotto sea cave. Take rowboats into the cavern and gently spoon through the aquamarine waters for an unreal experience. To explore on the more adventurous side of Naples, hire a boat for a once-in-a-lifetime visit to the Blue Grotto sea cave. Or, if the ruins of Pompeii still left you in awe, you can go on an adventurous hike all the way to the slopes of Vesuvius. Want more ideas for cool activities to do on your Naples holiday? See our Things to do in Naples guide for what to book and where to go. 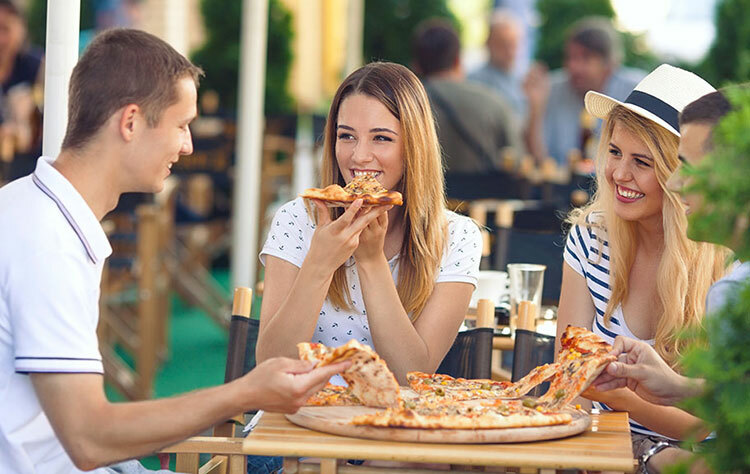 • Pizza Napoletana – if you didn’t try this Italian classic in the city it originates from, did you really go to Naples? A Neapolitan Margherita pizza tops our list for necessary eats and treats diners to stretchy mozzarella, marinara, and basil. • Impepata di cozze – this main dish stars mussels cooked with tomato sauce and peppers and is served with a side of toasted bread and a dash of fresh parsley. • Polpette – these freshly homemade meatballs sit on a luxurious sauce of rich ragù as a secondi for people to delight in with a sizable glass of wine. • Babà Rum – These rum-soaked Neapolitan pastries are served with whipped cream and berries as a sweet two-bite snack. • Limoncello – A strong, but tasty, speciality of the Gulf of Naples and the Amalfi coast. Locals make their own by infusing grappa with lemon peel and sweetening the liquid with sugar. Tipping: Naples’s restaurants will usually include a service charge of 10-15% with the final bill, so don’t feel obliged to tack on extra Euro. Tipping across the service industry isn’t expected, but customers can add a small sum for exceptional service. People usually won’t decline! For more suggestions on foods to try, find our Naples Food & Drink Guide: Top 10 things to try in Naples, and see our Restaurants in Naples guide for information on where to find these dishes. 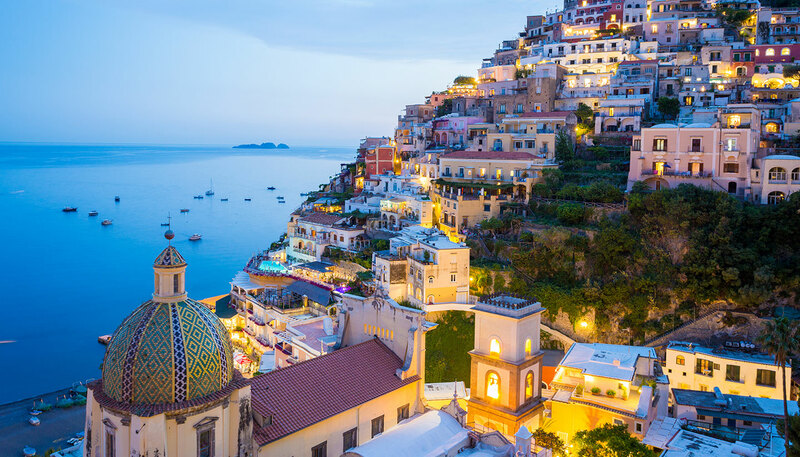 Luxury accommodations cover the seafront and give guests rooms with gorgeous views of the Gulf of Naples stretch, while cheaper hotels lie in the quaint, narrow city streets next to cafés and shops. Freshen up in the richly decorated rooms of the Grand Hotel Vesuvio and indulge in the cabin cruiser service that lets guests zip to nearby islands. Or for a more wallet-friendly stay, check in to the Bed and Breakfast Casa Mariella and enjoy amenities like free Wi-Fi, an en-suite bathroom, and complimentary breakfast. 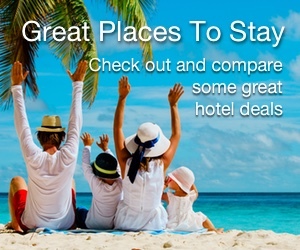 For a list of more hotels and stay options, see the suggestions in our Naples Hotels guide. Large groups of students, friends and families are always up for a good time in Naples. Drinking their traditional beverages, they hang out in bars that open their doors to evening patrons, or opt for a more tasteful night out with tickets to an opera, theatre, or dance production. Plan a warm romantic evening or party with friends with the help of our Naples Nightlife guide. A Naples shopping cart holds items that appeal to a wide range of tastes; everything from well-tailored suits to fragile Italian antiques. Milan’s high-fashion culture makes its way to Naples’s Via Toledo shopping street, while Mercato di Porta Nolana and La Pignasecca provide fresh fish, books, and other goods in a market setting. See other shopping options for souvenirs with our Shopping in Naples guide. Australian, Canadian, and USA nationals do not require a visa to enter the country for stays of up to 90 days. EU nationals have the option to stay in Italy for an unlimited time period. Australian and USA nationals must have passports issued within the last 10 years and valid for six months beyond the length of stay to effectively enter the country. British and EU nationals must have passports that are valid for the duration of the stay at minimum. See more information about visas, passports, and other documents needed for travel with this Italy Visa and Passport Requirements guide.